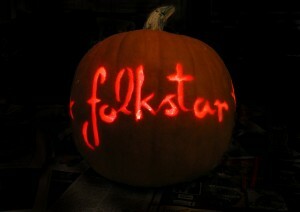 Folkstar had a wonderful Halloween this year! 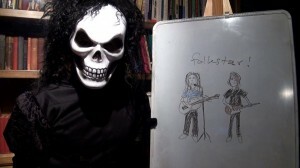 We had a Halloween party and performed in costume as KISS (Kim as singer Paul Stanley, Sue as guitarist Ace Frehley). We did something unusual and threw a handful of cover songs into our set. We started with “Rock and Roll All Nite” by KISS and included the Halloween faves “Thriller” and “Somebody’s Watching Me,” with an appearance by the funny and frightening Halloween Betsy (see our hilarious Halloween video in our last post). We also had fun making (and accidentally scaring ourselves with) spooky scarecrows and a myriad of other creepy Halloween decorations. 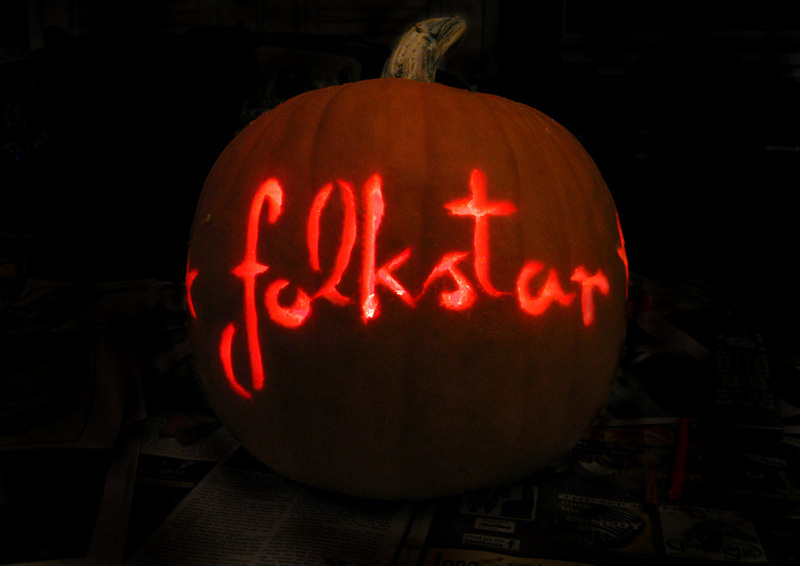 ← Happy Halloween from Folkstar!